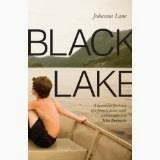 BleachHouseLibrary.ie: 'Black Lake' by Johanna Lane. Review. Ireland. A home. A childhood lost. The Campbell family have lived in Dunlough for generations. A large stately home and estate in Co. Donegal, it is steeped with history and memories. When John Campbell realises that he can no longer afford to maintain such a large house, he decides to open the house to the public and move into a small cottage on the property. This is a difficult move for his wife, Marianne and his two children Kate and Philip. Watching the moving men transfer their antique furniture and all their possessions affects young Philip the most. He can't understand why the Government have taken over his house and he watches, unseen, as groups of tourists traipse through his former home. This is Irish author Johanna Lane's first novel, and what a way to start! The story is split into four different narratives. One for each family member. For me, the most interesting one was young Philip's view of the changing environment and atmosphere. The characters are quite serious and this makes it hard for the reader to fully connect with them. However, a lot of these landed gentry types are insular and distant, in their own way, so the writing depicts this very accurately. The real star of this novel, for me, is the amazing way descriptive passages are used. 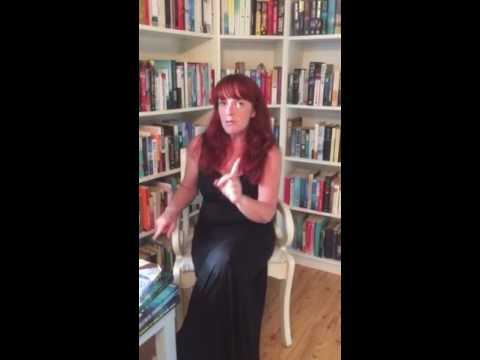 As the house, and its demesne, are the core of the story, Johanna Lane uses her writing skills to bring the reader into the world of Dunlough. The creaking floorboards, the dusty mirrors, long corridors and imposing tapestries hung on the walls. The workings of the kitchen and gardens , as well as the visuals of an unused ballroom, make for a feeling of the large house and its dark rooms full of large, well used furniture and few modern conveniences. The chill of the water in the rarely used outdoor swimming pool, and the shifting tides of the water on the estate, all add to the feeling of the unusual habitat of the Campbell family. The sense of family entitlement is still with John but Marianne did not come from this way of life, so is more upset about losing her gardens. The descriptions are the pulse of the novel, pushing life through the pages, chapter by chapter, until the whole package comes to life. The book is a clever piece of contemporary fiction, which should place Johanna Lane on bookshelves beside Sebastian Barry and Maggie O'Farrell. Black Lake is published by Tinder Press and is available in paperback and ebook format.